Our interpreters not only speak and understand the world’s languages, they understand the world of business. The Star Interpreting client list includes many of the most highly regarded law firms in New York City and New Jersey. We also work regularly in Westchester, Nassau and Suffolk counties. Our interpreting work includes depositions, IMEs, EUOs, trials and arbitrations. Our legal work is done with discretion and we pride ourselves on our accuracy. We understand the legal profession, inside and out. We know that legal needs often arise quickly and we welcome time-sensitive tasks. We take pride in responding quickly and effectively. Star Interpreting does interpreting for film and television voice-overs, subtitles and dubbing. When spoken talent is required, we have a roster of fine actors who can bring the words to life in their native tongues. Star provides interpreting services for foreign visitors, accompanying them on both business and personal excursions. We can provide the same services for travelers engaged in professional overseas assignments where quality interpreting can make all the difference. 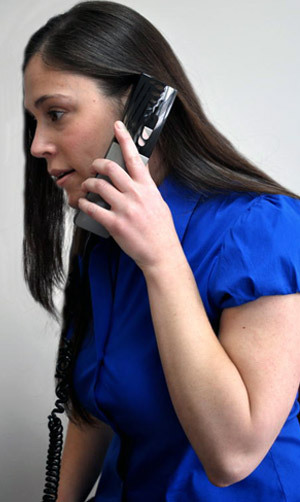 Star provides telephonic interpretation for a variety of corporate, legal and healthcare clients. Qualified interpreting can speed negotiations and make technical discussions more fruitful, ultimately saving both time and money.